GroundSwell Group has been chosen as a winner of The American Small Business Championship hosted by SCORE, a national nonprofit dedicated to mentoring small business owners, and generously supported by Sam’s Club, a leading U.S. membership club serving small businesses since 1983. GroundSwell Group was awarded the Championship title out of 362 small business entries, for their dedication to the success of their business and their passion of giving back to local communities. As an American Small Business Champion, GroundSwell Group will receive a $1,000 Sam's Club gift card, an all-expense-paid trip to a regional training event, SCORE mentoring for one year and publicity throughout the year. GroundSwell Group earned the title of American Small Business Champion by submitting an online application answering the question “What dream would you be able to achieve if you were to win this Championship?”, which can be seen at http://championship.score.org/entry/9972224. Nominations which garnered at least 100 votes were then presented to a judging panel of small business experts that determined GroundSwell Group as one of the Champions. Since its beginning in 2013, GroundSwell Group has undertaken the lofty but meaningful goal of truly changing the world by creating a space where brands can effectively and efficiently do business with the non-profit sector. Although it is a massive undertaking, with over 1.6 million charities in the United States alone, GroundSwell Group is driven by the desire to create mutually beneficial relationships between their corporate and non-profit partners. As GroundSwell Group continues to grow at an exponential rate, their commitment to impacting local communities has taken unprecedented height, as they plan to release a new nationwide initiative to encourage and guide all Americans to make giving back a part of their regular routine. GroundSwell Group is also eligible to win an additional $25,000 grand prize by being named Grand Champion. A judging panel of small business experts will select one Grand Champion from the group of Small Business Champions this summer. Selection is based on how effectively Champions utilize the Sam’s Club gift card and the SCORE regional training events to grow business revenue, as well as how effectively the winners promoted the Championship in the media and social media. 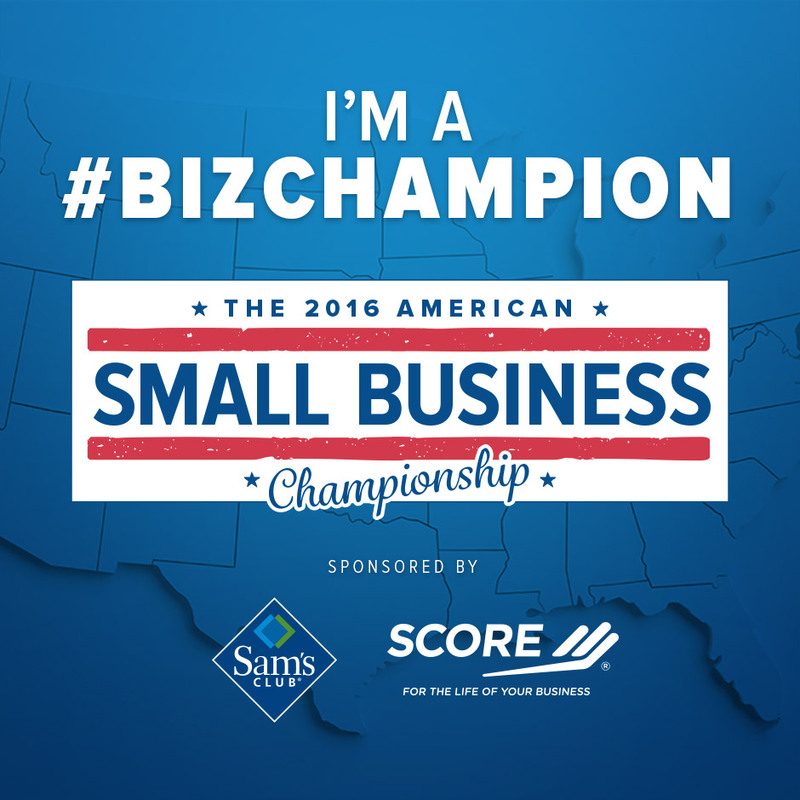 To learn more about The American Small Business Championship and to view the complete list of Champions, visit http://www.championship.score.org. GroundSwell Group is a cause marketing firm that works to align corporate partners with non-profit organizations to create individualized cause marketing campaigns. They execute targeted initiatives that allow corporations to engage and reach their target audiences, while also bringing financial support to non-profits. GroundSwell Group also provides support to numerous small to mid-sized non-profit organizations in order to increase sustainability, funding and community engagement. Their goal is to help corporations "do good" within their communities while helping non-profits be as successful as possible. Since their founding in October of 2013, GroundSwell Group has also experienced exponential growth, including a growth rate of 1,807% in 2015, and continues to rapidly expand. For more information about GroundSwell Group, go to their website at http://www.groundswellgroup.com or contact Safia Mirabella at safia(at)groundswellgroup.com. 10,000+ volunteer business experts provide free and low-cost small business mentoring, workshops and education to 500,000+ clients in more than 300 chapters. In 2015, SCORE volunteers provided 2.2+ million hours to help create over 45,000 jobs and 55,000 small businesses. For more information about starting or operating a small business, call 1-800-634-0245 for the SCORE chapter nearest you. Visit SCORE at http://www.score.org. Connect with SCORE at http://www.facebook.com/SCOREMentors and http://www.twitter.com/SCOREMentors. Sam's Club, the nation's eighth largest retailer and a leading U.S. membership club, offers savings and surprises to millions of members in 653 U.S. club locations and at SamsClub.com. The Sam's Club Giving Program, established by the Walmart Foundation in 2008, is dedicated to micro- and small business prosperity. Sam's Club and The Sam's Club Giving Program have invested more than $11 million in national and local programs dedicated to improved training, education and increased access to capital for small business owners. For more information on national or local giving by Sam's Club or The Sam's Club Giving Program, visit SamsClub.com/giving.